2. Nontaxable/excludable. Benefits in this category are considered nontaxable because you may exclude them from employees’ wages under a specific section of the Internal Revenue Code. 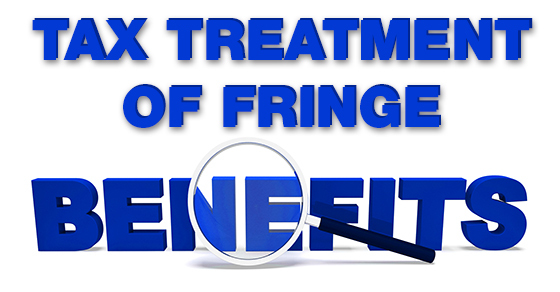 Examples include: Working-condition fringe benefits, which are expenses that, if employees had paid for the item themselves, could have been deducted on their personal tax returns (such as subscriptions to business periodicals or websites and some types of on-the-job training), De minimis fringe benefits, which include any employer-provided property or service that has a value so small that accounting for it is “unreasonable or administratively impracticable” (such as occasional coffee, doughnuts or soft drinks and permission to make occasional local telephone calls), Properly documented work-related travel expenses (such as transportation and lodging), Up to $50,000 in group term-life insurance, as long as the policy meets certain IRS requirements, and Employer-paid health care premiums under a qualifying plan.